To what extent are nature centers being affected by the partial shutdown of the Federal government? The answer is, more than you might realize. Mostly, we don’t think of nature centers as being federally-run. There are just a handful of federal facilities that actually have “nature center” in their names: Zion Nature Center in Utah (operated by the National Park Service), New River Nature Center in Oregon (operated by the Bureau of Land Management), and Cranberry Mountain Nature Center in West Virginia (operated by the U.S. Forest Service) are examples. Those are all closed now—but many of them shut down in the winter anyway. 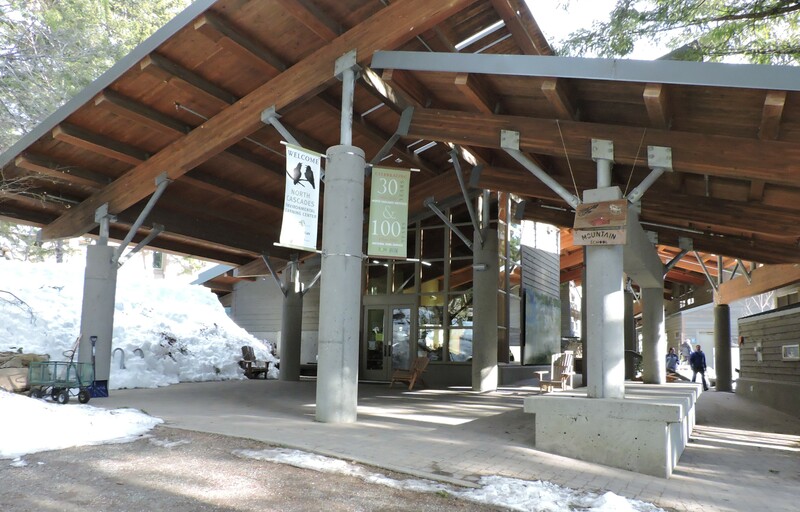 However, there are lots of federal facilities with titles other than “nature center” that nonetheless function like them, serving local populations and doing environmental education year-round—two functions that separate them from most park and refuge visitor centers. The U.S. Fish & Wildlife Service (USFWS) runs some of those places. The visitor center at John Heinz National Wildlife Refuge at Tinicum is a good example: located close to a major population center (Philadelphia), hosting lots of school groups and local visitors in every month of the year, and strongly woven into the community through partnerships of all sorts. As it happens, Tinicum is open on a limited basis at present, part of a group of 38 refuges that the USFWS reopened for a 30-day period in order to restore “opportunities, including hunting” that would otherwise be lost. Other refuges in that 38 that operate nature center-like facilities include Minnesota Valley NWR in the Twin Cities and Rocky Mountain Arsenal NWR near Denver. Federal employees who have been furloughed can’t so much as answer the government phones, and the few still working aren’t allowed to talk about the shutdown or its impacts. “You understand . . .” one USFWS staffer said to me, apologetically. In many places, though, federal agencies are important partners of non-federal organizations, offering nature center services as part of a team effort. And some of those partners are free to be a little more candid about the current situation. “We’ve been walking around through our partners’ empty offices, watering their plants and feeding their fish,” reports Saul Weisberg, Executive Director of North Cascades Institute (NCI). His organization is a nonprofit partner of federal agencies, operating within North Cascades National Park and elsewhere in western Washington State to provide learning adventures for all ages, most of them on federal lands. NCI shares its headquarters with staff of both the National Park Service and U.S. Forest Service. The Institute’s programming continues and its Environmental Learning Center within the national park remains open because the park itself is still open. The partners are soldiering on, and in most instances have not canceled programs or altered their operations much, if at all. In Yellowstone National Park, staff of nonprofit partner Yellowstone Forever report that “[Our] educational programs are continuing with slight modifications. . . . [For instance,] we’re sticking closer to the road due to the limited emergency services.” At Grand Canyon National Park, the nonprofit Grand Canyon Conservancy’s programming “will proceed as planned,” according to Mike Buchheit, Director of their Field Institute. At Tijuana Estuary Visitor Center in San Diego, supported by a group of partners that includes the National Oceanographic and Atmospheric Administration (NOAA), the USFWS, California State Parks, a cooperating association, and a Friends group, the non-federal players are operating the center. However, it is behind the scenes—and into the future—that the impacts are most severe. Almost every partner organization I talked to voiced concerns about the shutdown’s less obvious impacts and future implications. “All the project planning, all the scientific research, came to a screeching halt,” says Buchheit. NCI’s Weisberg echoed that partnership activities are “at a standstill.” And he expressed special uneasiness about the impacts on National Park Service seasonal hiring. Right now is when summer staff are recruited, hired, and processed. To the extent that that process is delayed, summer workers may be late in reporting, or may not be available at all. Partner organizations have a wide spectrum of scheduled warm-season programs and activities that rely on the involvement of federal seasonal staff, from volunteer training at Tijuana Estuary Visitor Center to student trail-building work in the Cascades to the Grand Canyon Field School’s education programs. If those seasonal staff are not available on time, “that’s going to be bad,” says Weisberg. One other aspect of the delay may also have an impact on those partners, like North Cascades Institute, the Grand Canyon Conservancy, and Yellowstone Forever, that generate earned income from their role as official sales agents for their partner parks, forests, and refuges. When federal visitor centers are closed, as most currently are, so are the sales outlets they house. Every day that continues, partner organizations lose earned income they need to run their operations. David Catlin has devoted his 35-year-long professional career to the nature center and environmental learning center field. A recognized leader in the profession, Catlin is a past president of the Association of Nature Center Administrators. He is also a founding member of the National Association for Interpretation, and received a Certified Interpretive Planner designation in 2005 and Certified Interpretive Trainer credential in 2009. He has also worked as a writer, speaker, and capital campaign counsel.